The Govie Writing Awards is a new, state-wide contest for South Carolina students in grades 6-12. Sponsored by the Creative Writing Department at the S.C. Governor's School for the Arts & Humanities, the awards are named for the department's founding faculty members—Jan Bailey and George Singleton—and recognize student works in fiction and poetry. Prize winners will receive a gift card from a local indie bookstore. Teachers of the winning students will also be recognized. The deadline is March 15, 2019. Winners will be announced in May of 2019. 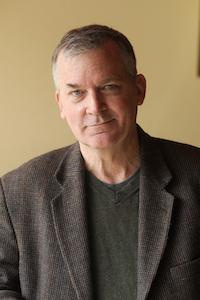 George Singleton has published eight collections of stories, two novels, and a book of writing advice. His stories have appeared in the Atlantic Monthly, Harper’s, One Story, the Georgia Review, Southern Review, Oxford American, and elsewhere. He has received a Guggenheim fellowship, the Corrington Award for Literary Excellence, the Hillsdale Award for Fiction, and a Pushcart Prize. Singleton holds the John C. Cobb Endowed Professor in the Humanities chair at Wofford College. Submit one story with a maximum length of 1500 words. Only one short story submission per student. Stories must be double-spaced, in Times New Roman, 12-point font. Remove any identifying information from the story (e.g., name, address, phone number). Submit your work as a Word document or a pdf file. Submit one story with a maximum length of 2500 words. Only one short story submission per student. 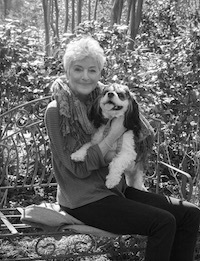 Poet Jan Bailey has published three collections of poetry, including Midnight in the Guest Room and Heart of the Other. She is a past winner of the Sue Saniel Elkind Poetry Prize from Kalliope and the Elinor Benedict Poetry Prize from Passages North. Her poems have appeared in Kenyon Review, Passages North and Ploughshares. She is also a Pushcart Prize nominee and South Carolina Poetry Fellow. Bailey grew up in the foothills of South Carolina and holds an MFA from Vermont College. Submit one poem only of any length or form. Only one poetry submission per student. Poem must be single-spaced, in Times New Roman, 12-point font. Remove any identifying information from the poem (e.g., name, address, phone number). Submit your work as a Word doc or a pdf.